A quick recording made using my new Zoom H4n. 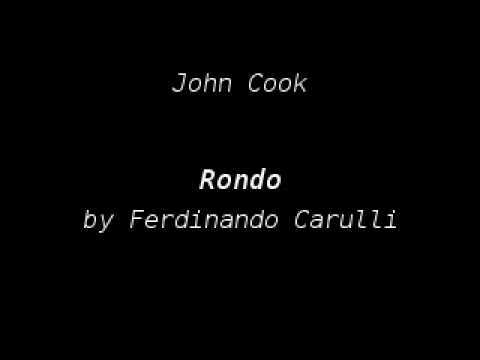 Rondo by Ferdinando Carulli. A quick recording made using my new Zoom H4n. It's only audio as I don't currently have a video camera - a Kodak Zi8 and a black backdrop are on my wish list. * Technically, the first time I've heard what I really sound like. I tried recording a clip on my Nokia 5300 a while back when I was wondering if I really needed a video camera or if I could just make do with just a phone and/or a good mic. A plastic cereal container isn't that good of a substitute for a microphone stand, and semi-perching on a bed is probably not the most ergonomic position to play in, but those aside it doesn't sound that bad other than a little slip near the end. One of the reasons I've used (other than money) for not getting a better classical guitar is that if I don't sound OK on a cheap guitar then I won't be getting my money's worth from a decent guitar. That and not knowing how I actually sound although you won't see me buying a stereo guitar any time soon. Last updated on Thursday, 29th July 2010 .